Are you looking to switch careers? Are you tired of working under somebody else and ready to be your own boss? Colorado Tri-Flo Systems based in Longmont, Colorado has the solution — start your own bed bug pest control business and help homeowners and apartment, hotel, dorm, and other housing facility owners get rid of their unwanted pests, bed bugs, for good. Bed Bugs are everywhere: Public Transit, Airplanes, Hotels, Dorms, Movie Theaters, Senior Living Residences, Apratments, and Homes. You can’t read a newspaper, Google News or converse with friends who don’t know a bed bug story. With our professional-grade starter kit and pest control expertise we’re here to help you get your pest control business off the ground so you can make your own schedule and write your own paycheck without any overhead. 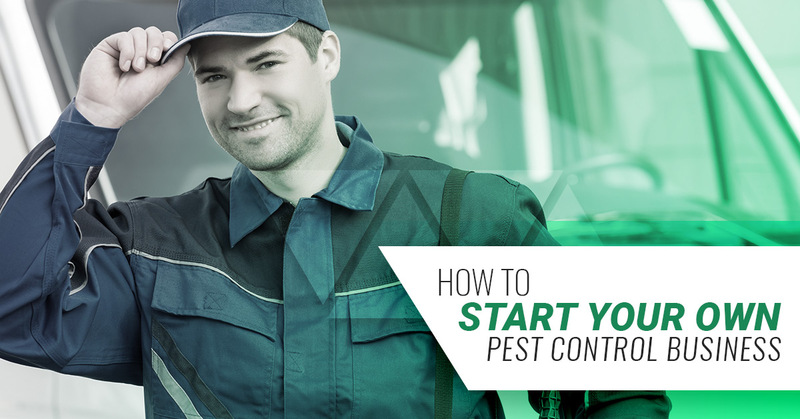 To make starting your own pest control business even easier, we’ve put together these four simple steps to help you get started on your business endeavor. Before starting any business, you must first create a business plan. What is a business plan? A business plan is a document that outlines your business’s objectives and your strategies for how you are going to achieve your business goals. What are your customers’ needs and preferences? How will your customers benefit from your products? When will your customers buy your products? What does the competition look like in your area? How will your competitors’ strengths impact your business? How are your products better than your competitors’? How will you profit from their weaknesses? What is your business marketing strategy? How are you going to create relationships with your target market and maximize your visibility and sales? What is your projected cash flow? What are your capital expenditures? When do you predict your business will break even? Do you need to hire an accountant and/or lawyer? When it comes to your pest control business, choosing the right equipment is of vital importance. Most homeowners and business owners who have unwanted guests, such as bed bugs, are physically and emotionally distressed by their occupancy and want them exterminated in one treatment, as soon as possible. Unfortunately, bed bugs are becoming more and more resistant to the previously popular method — chemicals — even as the toxicity and amount of chemicals increases. That is why, at Colorado Tri-Flo Systems, we urge pest controls professionals to use electric heat. Heat kills bed bugs, no matter their stage in life. Heat eradicates every bed bug in the room in as little as one day. Heat exterminates bed bugs in one visit. Heat treatment allows your customers to run their hotel, dorm, or housing facility as normal, with discretion. There are no annual licensing requirements. You can plug Tri-Flo heaters right into the wall, without having to use a generator or multiple circuits, plugs, and cords. Our Tri-Flo heaters are effective and cost-friendly. Tri-Flo heaters rely on electricity, not propane, which is combustible, generates carbon monoxide, and puts moisture in the air. Heat treatment is easy and hands-free. Tri-Flo heaters are safer to use. Heat treatment kills all bed bugs, so your customers can keep their stuff no matter how bad the infestation is. Before you go out there and start your own pest control business, it’s essential you have industry knowledge and proper certification. To be successful in your startup business, it’s imperative that you are able to properly and permanently eradicate unwanted guests in order to maintain an excellent reputation and continue to grow your business. But, how do you get your certification you ask? Right here with Colorado Tri-Flo Systems! We offer Master Heat Technician Certification, for a nominal fee of $499, allowing you to operate Colorado Tri-Flo’s innovative heating solutions for commercial use. Lessons, facts, and figures covering everything you need to know about proper bed bug eradication. Step-by-step guide on the eradication process from start to finish. How to operate our Tri-Flo heaters. How to generate the “convection” effect. An online assessment with 50 questions to test your knowledge. A certificate to prove your training and certification. Why spend money on getting your Master Heat Technician Certification when you can get it for free? At Colorado Tri-Flo Systems, we offer free training and certification to our customers who purchase a One-Stop Solutions package. 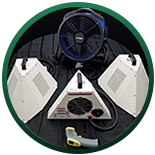 Included in these packages are electric bed bug heaters, high-powered airflow fans, and temperature monitoring products for your bed bug business. Kill two birds with one stone by purchasing necessary bed bug eradication equipment for your business, while getting heat technician training and certification for free. After you have your business plan prepared, have the ultimate pest control equipment to kill unwanted bed bugs effectively and efficiently, achieve certification you are ready to kill your first bed bugs. This is the exciting part as all of your hard work, time, and effort pays off. While we know with our extensive Master Heat Technician training you will have the knowledge and skills to professionally exterminate any unwanted bed bugs with our first-rate bed bug equipment, here we are going to cover the basic steps of properly eradicating bed bugs; as well as share some helpful tips for your first pest control job. You can never be too prepared! Step 1:Determine which Tri-Flo commercial bed bug heaters you will need for the room size. 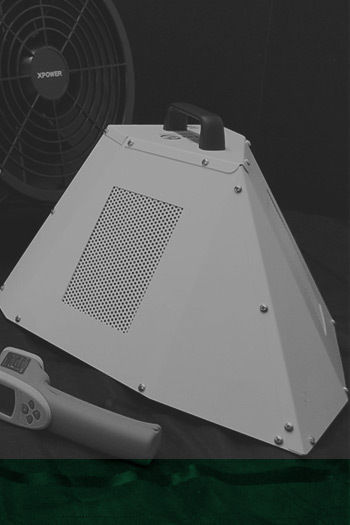 The Eradi-Flo commercial bed bug heater you use will depend on the size of the infested room. Ensure you get your first bed bug extermination job done right the first time by having the right commercial bed bug equipment. If you are unsure which one-stop solution is best for you, start out with our professional grade starter kit. Step 2: Evenly space out Eradi-Flo heaters around the infested room. Ensure the whole room gets heated and reaches the temperature required to kill bed bugs by evenly spacing out the Eradi-Flo heaters throughout the room. Step 3: Set up fans to create a conduction effect in the room. Ensure all bed bugs are killed, no matter where they are hiding by creating a conduction effect in the room. You can do this by making sure the airflow fans are circulating the air all over the room. Step 4: Safety check! Make sure no objects are obstructing the commercial bed bug heaters or fans. 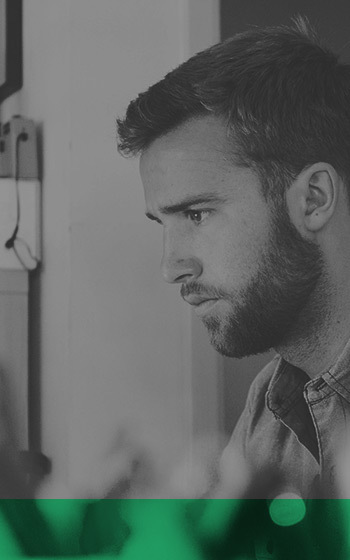 As a business owner, safety should be your utmost concern. Before turning on any equipment, make sure no objects are obstructing the heater or the fans. Step 5: Check the outlets meet the power requirements for both the commercial bed bug heater and fan, and plug in. Not every Eradi-Flo model has the same power requirements, therefore, it’s important to make sure you are plugging into the correct amp plug before starting your bed bug extermination equipment. Step 6: Turn on heaters and fans. Once you’ve done the necessary safety checks, it’s time to kill your first bed bug by turning on the bed bug heaters and fans. Step 7: Close and place towel under the door. Close the door and wedge a towel between the floor and the door to ensure no bed bugs escape during the heat treatment. Step 8: Run heaters for several hours at 135°F | 57°C. The lethal temperature for bed bugs — is 121°F | 49°C. Depending on the level of infestation let the bed bug heaters run for several hours so every spot in the room has reached around 135°F | 57°C. Successful startup businesses don’t just provide their customers with the services they seek to deliver, but they also go above and beyond to create relationships with their consumers to provide the utmost quality customer service and care. Customer service is crucial to your business because it shows customers you truly care about them and their well-being, and sets you up for creating lifelong customers and success. Take your pest control business to the next level and keep the people who need pest control services in your area coming to you, instead of your competitors by having an exceptional customer service model. When it comes to professionalism and customer service, being punctual is a must — especially as a pest control professional. 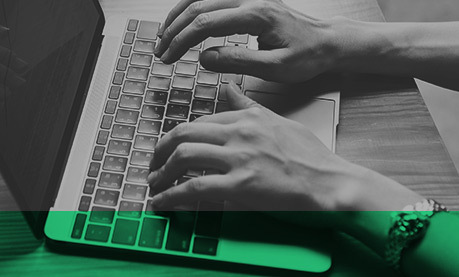 Your customers have been waiting anxiously for you to get their and take care of their pests since the moment they called, so they are going to notice and become frustrated if you show up late, even if it’s only by a few minutes. No matter what kind of business you are starting, your customers will always appreciate a smile. As a pest control professional, you are going to be walking into jobs where customers are highly distressed and need you to fix their bed bug, or other pest issue now! A smile will go a long way in helping them feel reassured that you are there to relieve them of their problem, and that you are happy to do so. 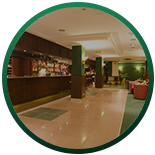 While your customers hope they never have to hire another pest control professional again, the truth of the matter is that when you run a hotel, dorm, or other lodging facility, you never know when bed bugs are going to make an appearance. They love hitchhiking and even if you take all the appropriate measures to prevent bed bugs, they can still ride in on someone else’s luggage at anytime begin their infestation. That being said, it’s essential to create relationships with your customers so whenever they need pest control services again, you are the first one they call. A key customer service tip is to never over promise and under deliver. The quickest way to lose trust in your customers is to not follow through with what you say you will do for them. It’s always better to surprise your customers with a quicker turnaround time or service date than to not follow through with your word. The realty is, there are going to be times when you have unhappy customers, and that’s okay. It’s how you handle the situation that matters. 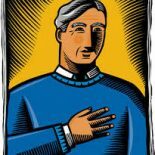 Always be sure to admit when you have done something wrong and take care of your customer. Even when you are not in the wrong, it’s important to remain kind and positive, and problem solve with your customer until the issue is solved. You wouldn’t be in business if it wasn’t for your customers. Before leaving any job, no matter how big or small, always be sure to leave with a thank you! That’s it! In four simple steps, you can transform your life by starting a successful pest control business, while positively impacting the lives of other business owners whose businesses are significantly impacted by pests, such as bed bugs. Colorado Tri-Flo Systems makes starting your own pest control business easy! Contact us today to learn more about our professional grade starter kit and heat technician training and certification. We look forward to helping you make your dreams become reality.